Treatments for occipital neuralgia episodes are very specific, so it’s important to have an accurate diagnosis to ensure you’re getting the right care. Spinal conditions that can trigger occipital neuralgia include osteoarthritis of the cervical spine, degenerative disc disease, or the inflammation of blood vessels. Occasionally, it’s caused purely by the existence of tight muscles that trap the nerves and cause chronic neck tension. The main symptom of occipital neuralgia is a sudden, intense pain in the back of the head. It is described as aching, throbbing or burning, and is accompanied by an occasional stabbing or “electric shock” sensation. The pain starts where the head joins the neck, and then radiates along the back or side of the skull. After it recedes, it leaves the scalp tender and sensitive to any form of touch. Episodes typically only last for a few minutes or seconds, and while symptoms usually develop on one side of the head at a time, it is possible to have them on both sides simultaneously. Patients often also experience nausea and other symptoms common to migraines. Medical practitioners form a diagnosis by conducting an evaluation that includes reviewing your medical history, conducting a physical examination, documenting the symptoms and their effect on your quality of life. They may order diagnostic tests such as an MRI or CT scan to look for pinched nerves and identify the condition of the spinal canal. Treating occipital neuralgia pain usually begins with non-invasive therapies, such as over-the-counter pain medications. Doctors often prescribe membrane stabilizing agents, anticonvulsant drugs such as Pregabalin, an infusion of Ketamine. Nerve block treatments applied to the C2 or C3 ganglion nerves can also help to alleviate the pain. In some instances, BOTOX® injections provide short-term relief by preventing contraction of the muscles and blocking the transmission of pain signals to the brain. A common non-surgical form of treatment, this requires stimulating the occipital nerve with a neuro-stimulator. The process is done under general anesthetic, and a permanent electrode is implanted close to the nerves at the back of your head. This is connected to a battery, which is implanted under the skin in your chest, back or abdomen. The battery sends electrical impulses to the nerve that help to block the transmission of pain to the brain. The procedure is minimally invasive and does not cause damage to nerves and other surrounding tissues. Occipital neuralgia symptoms often improve or disappear completely with nonsurgical treatments such as heat, rest and physical therapies such as massage, muscle relaxant, and anti-inflammatory medications. If none of these non-surgical treatments or therapies work, however, you could be a candidate for surgical intervention. Many migraine patients find surgery is the only way to restore their quality of life. After this minimally-invasive procedure, patients often have a significant decrease in episodes of occipital neuralgia pain. Even if they still experience attacks, the frequency, duration, and severity can be greatly reduced. Patients who respond favorably to BOTOX® (but not to other non-surgical treatments) are good candidates for this surgery. Occipital nerve entrapment surgery takes between two and three hours and is usually an outpatient procedure. During the process, the surgeon makes a small incision on your face, neck or forehead, which enables him or her to remove tissue and muscle to relieve compression on the C2 nerve root, the ganglion, and postganglionic nerve locations. The supraorbital nerve is a component of the optic nerve, which transmits sensations to the scalp. If this nerve becomes compressed it can trigger migraine pain. Nerve decompression surgery relieves the pain by removing muscle or tissue trapping the nerve to create space around it and reduce irritation. The surgeon makes small incisions in your skin and removes the blood vessels and tissues through the cut. The surgery is based on the principal of the BOTOX® brow lift, which gives the nerve the space it needs to function normally without causing pain. Supra-orbital nerve surgery is also an outpatient procedure, which takes two or three hours under general anesthetic. The surgeon closes the wound with dissolving sutures or surgical glue. After a couple of weeks, the wounds heal and all swelling and bruising disappear. Over-the-counter medication is usually all you need to relieve any pain from the procedure, and you can go back to normal activity within a couple of weeks. Few treatments provide a complete cure for occipital neuralgia pain or migraines, but the goal of both surgery and therapy is to reduce the frequency and intensity of the symptoms. Side effects of surgical solutions are few and far between, so for those patients who are a good candidate for surgery, there’s little to lose by considering the option. Of the 28 million migraine sufferers in the United States, one-third get little or no benefit from traditional medical therapies. Surgical treatments for occipital neuralgia pain could provide some relief. Occipital neuralgia pain can be severe and debilitating. While it isn’t actually the same condition as a migraine, the symptoms are very similar and the treatments overlap. 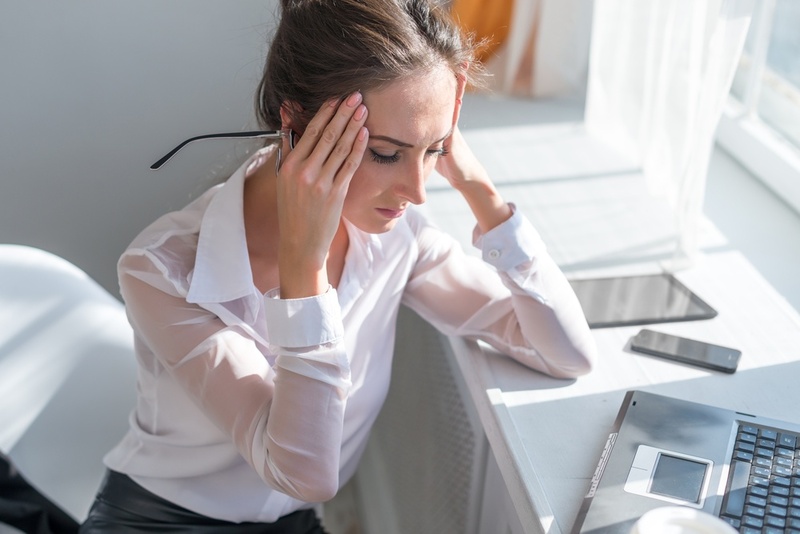 If you’re experiencing any form of headache pain, a discussion with your migraine doctor will help you to identify the cause and determine how best to treat the condition.